The Logic Exhibit System was designed to offer designers and curators the greatest number of possible display configurations using the fewest possible components. A lightweight yet sturdy aluminum frame provides the structure for the Logic Exhibit System. Connectors slotted into the top and bottom hold the frames together and stabilize them. Then solid or glass panels are slotted onto the frames to create the walls and cases. The surfaces of all the wood and aluminum elements are painted and can easily be maintained and repainted with latex paint. Cases can be assembled in a variety of different of sizes to accommodate the exhibit of small or larger objects. Graphics can be mounted directly to the wall panels. 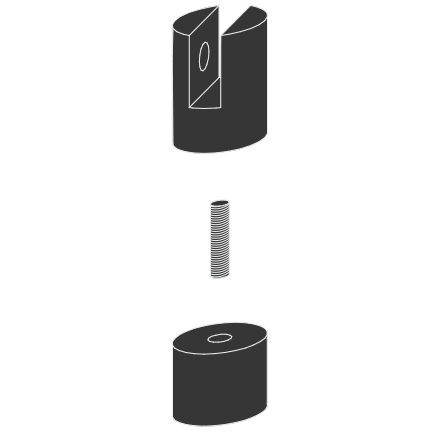 They can also be glued or screwed in place using cleats or hooks. Or, if preferred, even suspended from the top of the panels. Since all the components in the Logic Exhibit System are built of light yet strong materials, the installation can be accomplished with very little labor. In fact, with a little training, two people can assemble enough arrangements to fill a 40’ by 40’ space in just two days. Made out of lightweight durable aluminum, the frame forms the main structure of the Logic Exhibit System. 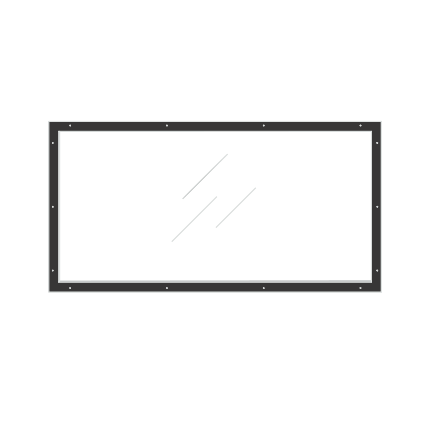 The 90” tall frames come in three widths – 18”, 36” and 72.” Moreover, since the system works on a predictable 18” grid, it’s easy to plan and layout your exhibit. The connectors are the pieces that join and hold the frames together. 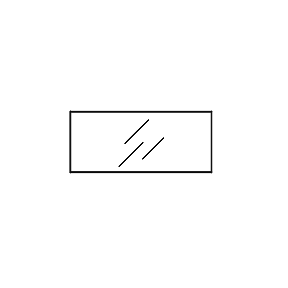 You will need two connectors – one at the bottom and one at the top – to join two frames. The type of connector you need depends on what you want to do. These wood panels slot onto the frames. 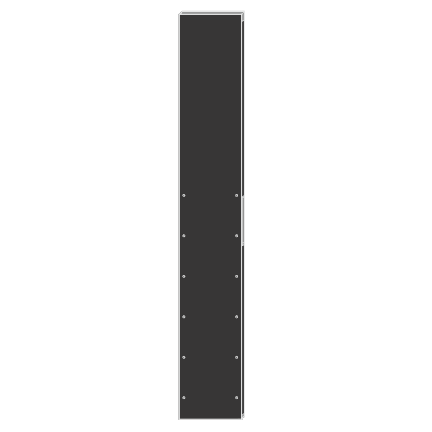 They come in two widths – 18” and 36’ – and can be ordered with or without holes for the shelf hardware. These are made to slot on to the frames and are available in two sizes – 36” wide or 72” wide. 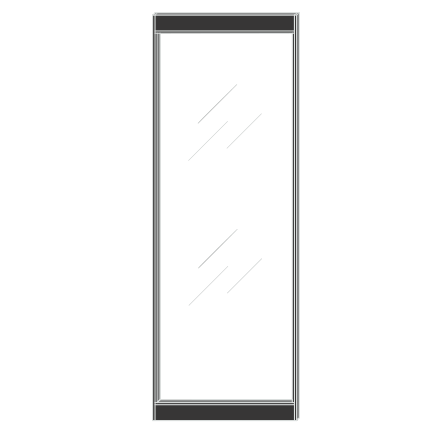 Our 72” panels are available as static glass panels or as sliding glass panels. Our 72” sliding glass panel allows easy access to case interiors. These protect your artifacts and keep dust from accumulating on your exhibit. Note: Dustcovers must be removed before the cases can be dissembled. Made of 3/8” tempered glass, these shelves are available in two sizes – 18” X 36” and 36” X 36”. 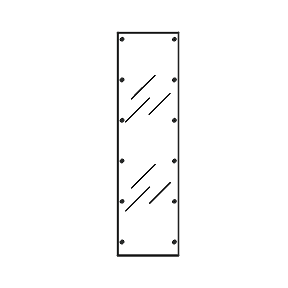 Glass shelves are supported using shelf support hardware. 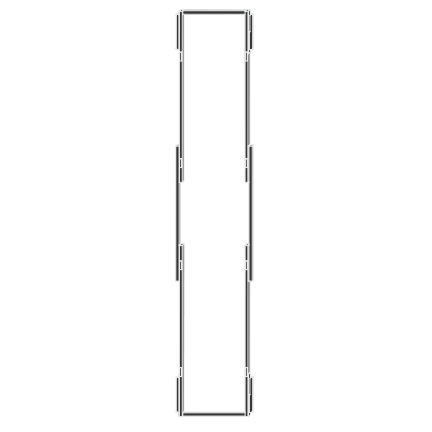 In a 72” case, glass dividers are used to join 36” wide glass shelves. The divider allows for a variety of shelf placement options to accommodate different objects and artifacts. Coverplates cover the frame and connectors where panels connect, giving the whole system a clean, fluid look. These pieces are designed to hold the glass shelves in place with four units required for each shelf.